Rod Meyer grew up on a small farm in Mitchell County, Iowa with four brothers and a sister. He graduated from Iowa State University in 1980 with a Bachelor of Science in Agricultural Business, and he was a proud member of the Alpha Gamma Rho fraternity. He started his career in Austin, Minnesota as an agricultural loan officer with Wells Fargo Bank. 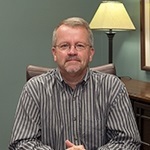 In 1985 Rod moved to Mankato, Minnesota and was a credit analyst for the next seven years with ConAgra Foods. Rod started his professional investment career in Mankato with Piper Jaffray and Hopwood in 1992. In 2003 he founded his own independent practice, which is still in existence today under the name of Meyer & Norland Financial Group, LLC. Honesty and integrity are the fundamental values on which the firm was founded and which still drive the business today. In 2008 Rod decided to find a permanent home for the business and built a new office building at 1560 Adams Street. Rod and his wife Kendall are the proud parents of two children. Their daughter Leslie is an optometrist on the Navajo Reservation in Ship Rock, New Mexico; their son Evan recently joined Rod's practice as a Wealth Advisor. Rod feels blessed to be employed by 100 wonderful families under a relationship where we aspire to provide outstanding value-added service with transparency of costs and objectivity in investment decisions. 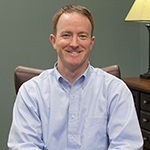 Matt Norland is a CERTIFIED FINANCIAL PLANNER™ professional with over 18 years of financial services experience. Matt specializes in financial planning for individual investors and helps business owners manage employer sponsored retirement plans. He received a Bachelor of Science from Minnesota State University, Mankato with a concentration in Institutional Finance. In 2013, Matt was named the Greater Mankato Growth Young Professional of the Year, an award based on contribution to the betterment of the quality of life, business environment and economic vitality in Greater Mankato, demonstrated commitment to our community through service and volunteerism, professional/leadership development of other young professionals and being actively engaged in efforts to welcome young professionals to learn, live, work and engage in Greater Mankato. 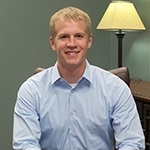 Matt is also an active member of numerous community organizations including: Christ the King Lutheran Church, Greater Mankato Area United Way, Greater Mankato Growth, Kiwanis Holiday Lights, Leave a Legacy Mankato, and Mankato Downtown Kiwanis Club. Matt Norland is a CFP® professional and he holds his Series 7 held with LPL Financial and his Series 66 held with LPL Financial and Investors Financial Group. Evan Meyer is a CFP® professional and partnered with Rod in 2015. Evan's primary role is financial planning and helping clients pursue their long-term financial goals from his location in the Colorado office. Evan graduated from the University of Denver with a Bachelor of Science in Business Administration. He previously worked as a Senior Relationship Manager at TD Ameritrade Institutional, serving the needs of Independent Financial Advisors throughout the country. Evan obtained his CERTIFIED FINANCIAL PLANNER™ certification in 2017 and currently holds Series 7 registration with LPL Financial and his Series 66 registration with both LPL Financial and Investors Financial Group. Evan enjoys golfing, hiking, skiing, and photography. Evan lives in Parker, Colorado with his wife Alex and son Carson. Jessica Buckingham joins our team as Operations Manager, partnering with Evan in the Colorado office. Jessica brings ten years of financial industry experience to her role, and her primary responsibility is to ensure the office is running smoothly and efficiently. She has a bachelor's degree from Colorado State University and is currently pursuing her CFP® certification and an MBA in business analytics. Jessica lives in Lakewood, Colorado with her husband and five year old son. She is an active member of the Altar and Rosary Society and serves as the leader for the St. Clare's group. Kristin Ashland is Meyer & Norland's Administrative Associate. Kristin's focus is to provide support for our growing practice in the area of project management. 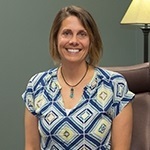 Kristin works closely with Rod Meyer, Wealth Advisor, in providing our clients information regarding Social Security benefits and the financial implications of deciding when and how to draw benefits. She maintains our office's computer technology, including the website, and ensures that we adhere to the most current security standards and procedures. Kristin loves working at Meyer & Norland Financial Group, LLC, on a part-time basis because it gives her time with her active family. When she isn't driving carpools or attending various activities for her kids, she loves to read and spend time outdoors. Check the background of the investment professionals associated with this site on FINRA’s BrokerCheck.